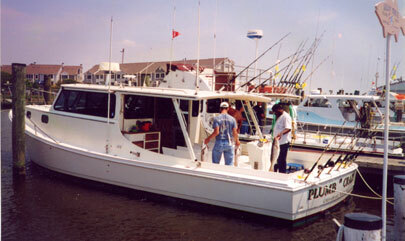 The Plumb Crazy is a 40' fiberglass custom Bay-built fishing machine with heat and air conditioning. 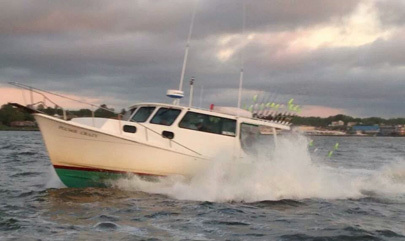 She has a large roomy cabin and an extra large bathroom (it's called a head) with running water. 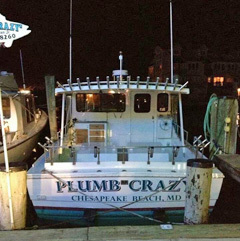 Powered by twin diesels, the Plumb Crazy also has a generator and microwave, and all the latest electronics including radar, chart plotter, depth finder, stereo, and VHF radio. 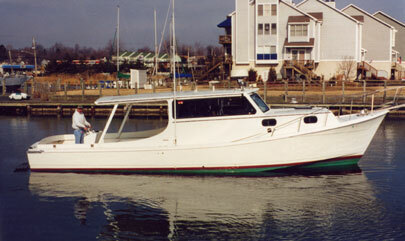 She is Coast Guard certified to carry up to 18 passengers.